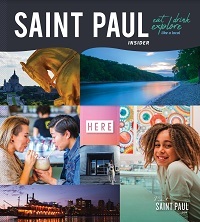 Gain assistance from professional services vendors through Visit Saint Paul. Visit Saint Paul can distribute a free “Service Lead” about your needs to all qualified vendors. The vendors will then contact you directly with their information. If you’d prefer to contact the suppliers yourself, see the below directory for event planners, catering services, transportation, audio/visual vendors and more. Soaring 30 stories above downtown, say hello to our stunning views, and upscale interiors. Greater St. Paul BOMA is an influential and trusted voice for the commercial real estate industry. Group tours and children of all ages are welcome at the Hill House. KSTP-TV - Hubbard Broadcasting, Inc.
Our Convention Services department will be happy to work with you on any special requirements.